I didn't know what kirigami was until about five seconds ago. Basically it is like origami, but after folding the paper you cute out designs. I have a feeling that kirigami and I are going to be good friends. My origami skills are lacking, but I think I can make up for that with my scissor skills. 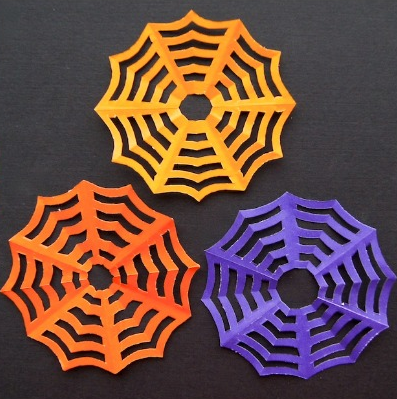 Okay, maybe not, but I really am excited to give these paper spider webs a try. 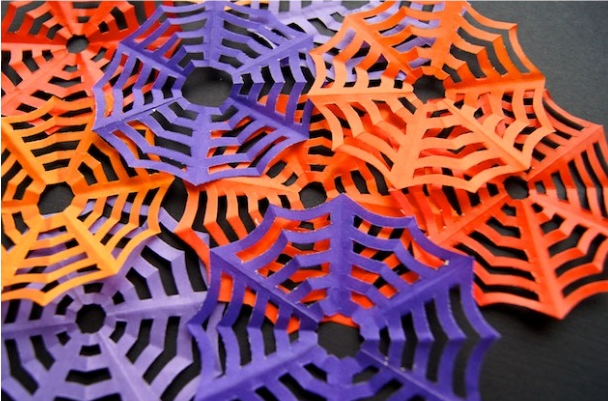 You can check out the tutorial on how to make your own kirigami spider webs over at Omiyage. I am not seeing a link to the tutorial. All the links go to your own labels. Can you help me out with the link? Thanks!